GTCC’s Diversity, Equity, and Inclusion Initiative (DEII) will support the institution by providing strategic leadership that fosters diversity, inclusivity, and a welcoming environment for students, faculty, staff, and the local community. 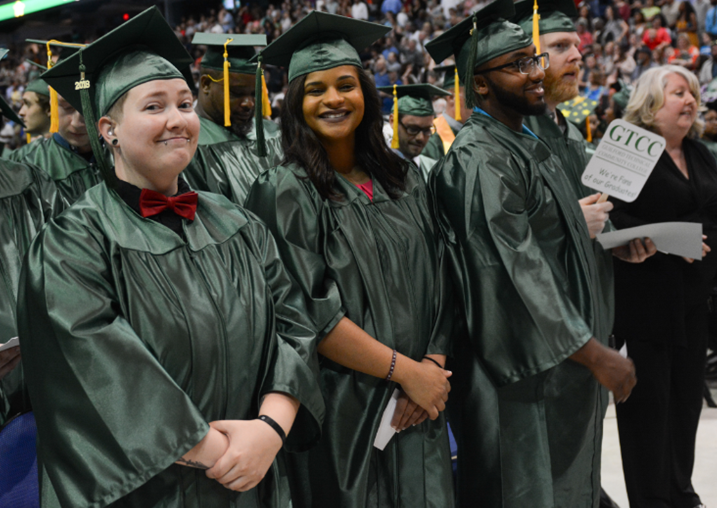 GTCC is committed to programs that provide equitable educational outcomes for all students representing all backgrounds including, but not limited to, ability, age, gender, race, religion, sexual orientation, and socioeconomic status. To accomplish this goal, DEII will provide educational and professional development, training opportunities, and resources to the college community that advance understanding and application of diversity practices, which is the essence of inclusive excellence. Institutional Goal 6: Cultivate a workplace culture of inclusion that welcomes, develops, supports and empowers employees.